A Facebook friend posted an article which included the video below, which is a message to ISIS. Give it a look and see what you think. We continue our study of Jesus’ Words, Works and Way in the Gospel of Luke this Sunday, and we come to another one of his classic statements “Love your enemies.” Continuing a teaching we started last week, Jesus once again turns conventional wisdom on its head. 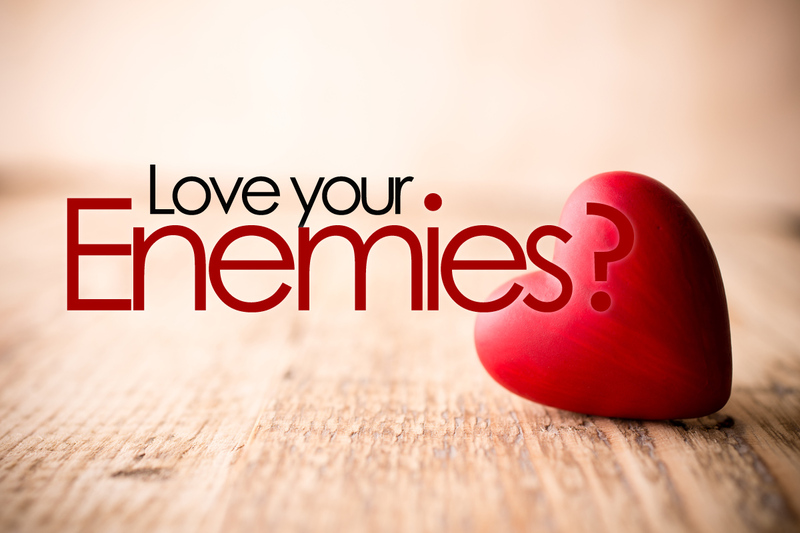 Love your enemies? That seems wrong. Throughout the centuries many governments have used this passage as a basis for what is known as Just War. Just War theory states that there is a time and place, in order to restrain evil, for one country/group to take military action against another country/group. There is much debate about what constitutes just war. I once heard a historian suggest quite seriously, and with scholarly research, that the American Revolution might not have qualified as a just war. When looking back over history, it seems that sometimes we have done well (defeating Nazi Germany, for example) and other times we have not done so well (Vietnam, possibly?). What should we Christians do then with “Love your enemies?” What is an enemy? Just a foreign nation? Should we travel in droves to the Middle East and plead with ISIS to stop killing people? And does “love your enemies” apply, perhaps, in many other ways here at home? How should we take this teaching from Jesus? We invite you to join us at Faith Church on Sunday morning as we discuss this further! Agreed. That is a difficult, excellent prayer!